StructureMapTM allows anglers to view and create detailed underwater images of their favorite fishing areas. 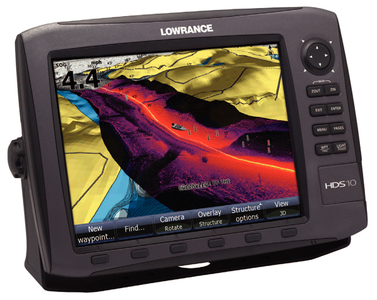 Overlay StructureScan sonar images on top of traditional charts to provide a unique view into underwater structure and its location on the map. Use StructureMap in live mode or scan an area to create a detailed map for on or off the water viewing. Pure-white LED screen/keypad backlighting fully adjusts to zero-dim for night viewing.